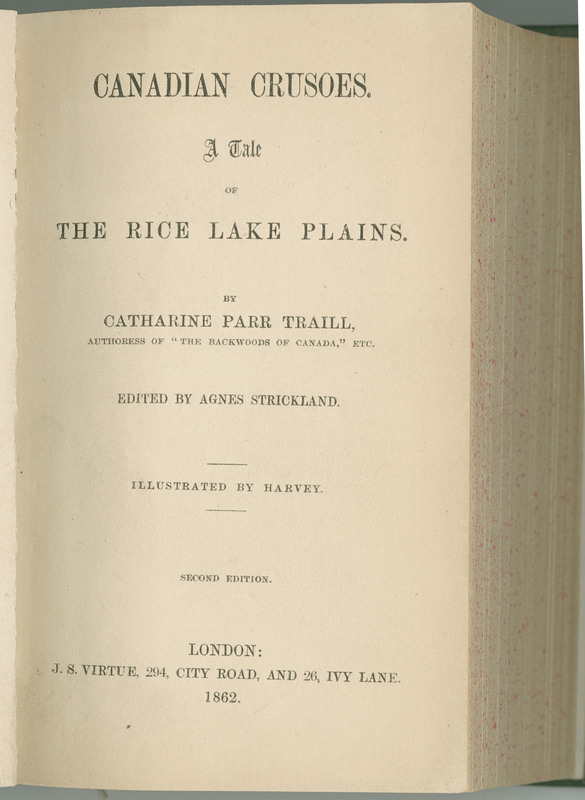 Catharine Parr Traill’s Canadian Crusoes is widely considered to be the first Canadian novel for children. 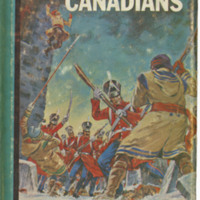 And yet, despite its undoubted status in our national literature, the book was not the product of a Canadian publisher. 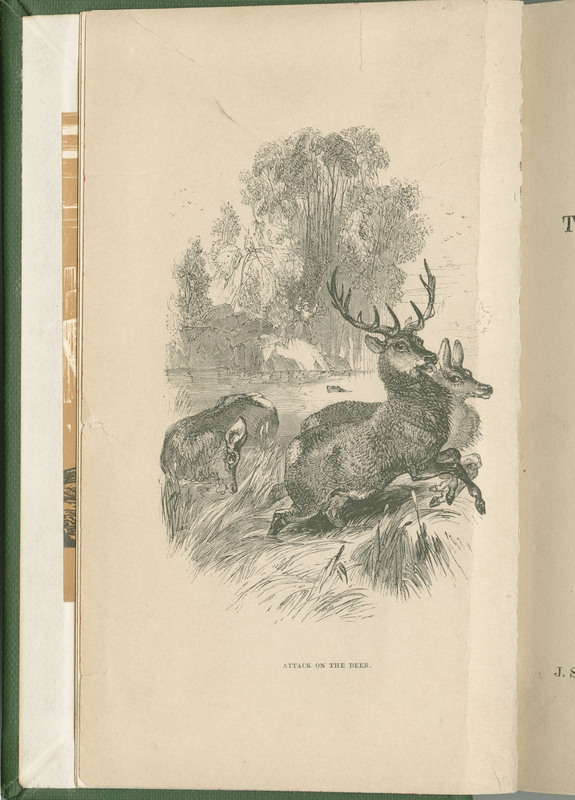 Instead, under the direction of Traill’s older sister Agnes Strickland in London, Arthur Hall, Virtue, and Company published Canadian Crusoes in a handsome cloth binding with illustrations by William Harvey in the British metropole in 1852. 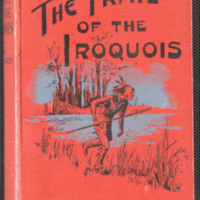 James Virtue also published the second edition pictured here a decade later after his partnership with Arthur Hall had been dissolved. Meanwhile, back in Canada, booksellers, parents, teachers, and children who wished to handle and read the book were obliged, under Britain’s copyright laws, to rely on imported copies dispatched overseas from Virtue’s publishing house in London. No doubt Canadians also took advantage of their proximity to the United States to procure pirated editions from south of the border at a significant discount. Indeed, even before the summer was out New York publisher C.S. Francis & Co. was already advertising a forthcoming American edition of the book in The Literary World (21 August 1852, p. 127). Wherever the book appeared, however, and from whatever press, critics and readers welcomed it with open arms. “We can recommend it confidently to all parents and friends of youth as a most acceptable gift,” concluded The Critic (16 August 1852, p. 420); “The book is very neatly got up, and is beautifully illustrated by Harvey” enthused The Literary Gazette (14 August 1852, p. 625); “The book is exceedingly well calculated for children,” observed Tait’s Edinburgh Magazine, “to whom its interesting contents, its handsome appearance and beautiful illustrations will render it an acceptable present.” (September 1852, p. 572). The highest praise, however, perhaps came from a reviewer on this side of the Atlantic who, writing in The Literary World, related that “[t]he fact that a younger reader has for the present monopolized the volume, prevents our being able to pronounce upon the merits of the volume from a perusal of it, though that fact gives an indirect testimony in behalf of the book from one of that class of humanity for which it is designed” (18 December 1952, p. 398). Notwithstanding an overwhelmingly positive reception, Canadians were not able to read an edition of Canadian Crusoes printed on a press in their own country for another seventy years when, at long last, McClelland & Stewart finally published it in Toronto in 1923. Regrettably, by that time the world about which Traill had written so vividly was quickly vanishing from those same regions where she has drawn much of her original inspiration. Only the presses at Oxford and Cambridge have been publishing books in English longer than the Society for Promoting Christian Knowledge (SPCK). Established in 1698 as an unofficial arm of the Church of England, the SPCK soon became a prolific publisher and underwrote the costs of publishing, selling, and giving way millions of tracts, books, and other texts all calculated to inculcate strict religious values and encourage moral behaviour. Throughout the nineteenth century, the SPCK broadened its catalogue and its approach, taking on the publishing of scholarly works as well as a growing list of fictional works aimed specifically at young boys. This book is a good example of the latter. These works of fiction were meant to provide models of a good Christian life while at the same time avoiding straightforward sermonizing. William H. G. Kingston, the author of this title, was just the man to provide such a text. Kingston’s books were remarkable both for their engaging narratives as well as their thoroughgoing decorum. “There is not a page in any of his books,” noted one eulogist, “which the most scrupulous parent would wish to take out, or a sentiment inculcated that is not thoroughly honest, upright, manly, and true” (“William H. G. Kingston” The Athenaeum 14 August 1880, p. 211). 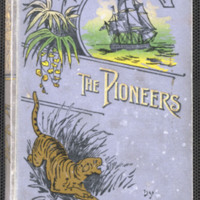 The Frontier Fort, published by Pott, Young & Co, in New York in the spring of 1880, was described by one American reviewer as rhetorically balanced in just the way that the SPCK prescribed: “full of adventure, and yet with a decided though not obtrusive religious feeling pervading” (American Church Review Mar/Apr 1880, p. 32). 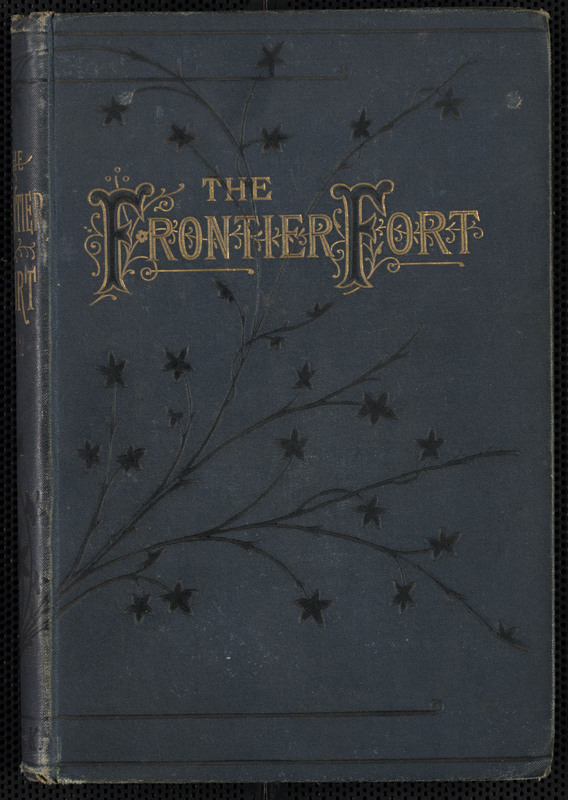 This particular copy of The Frontier Fort is also remarkable for its marks of ownership and use. 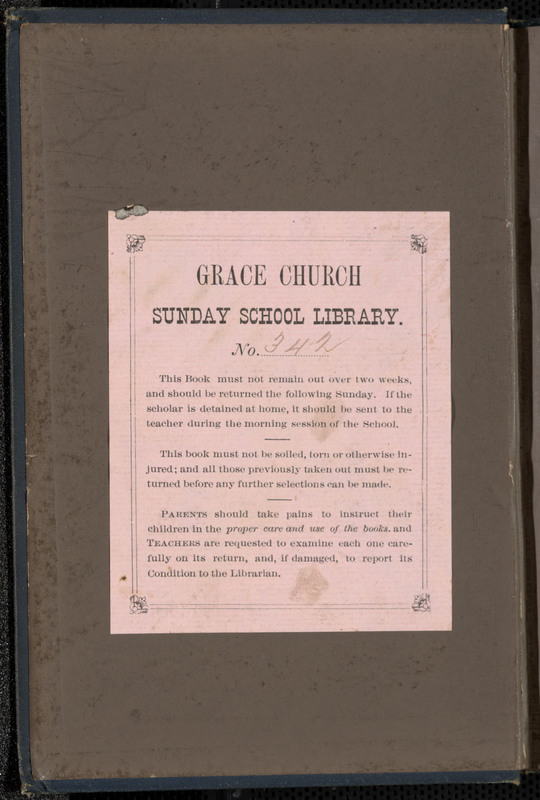 Readers will notice a library bookplate on the front flyleaf indicating that it belonged to the Grace Church Sunday School Library. Sunday Schools trace their origins to the late eighteenth century and, as they became increasingly widespread, denominational publishers began publishing entire libraries for that specific market. Though this book was not intended specifically for Sunday schools, no doubt the SPCK would have been delighted by the fact that it had found its way into such a collection. But as the library bookplate makes clear, young readers were required to do more than enjoy the book. They were also required to safeguard it: “This book must not be soiled, torn, or otherwise injured; and all those previously taken out must be returned before any further selection can be made.” Fortunately for librarians in charge of these collections, damaged and lost books were increasingly easy and less expensive to replace as printing houses, including the SPCK, adopted new nineteenth-century technologies including stereotyping equipment, power presses, and machines for manufacturing paper and bindings.